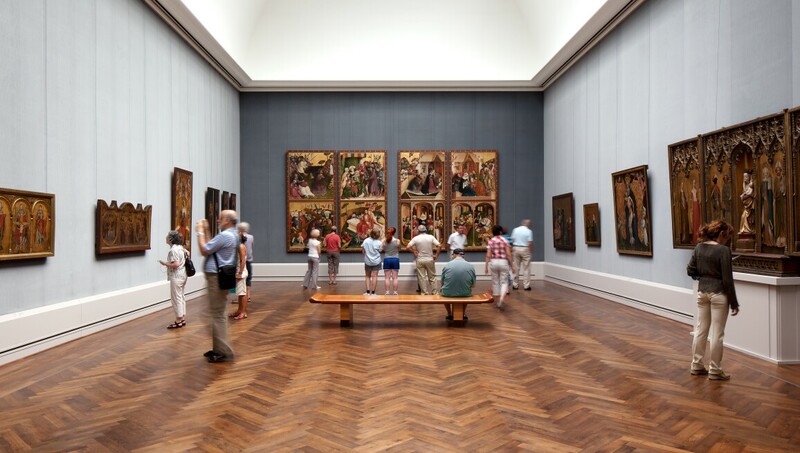 The Gemäldegalerie boasts one of the world's most important collections of European painting ranging from the 13th to 18th centuries. Collection highlights include masterpieces by Jan van Eyck, Pieter Bruegel, Albrecht Dürer, Raphael, Titian, Caravaggio, Peter Paul Rubens, Rembrandt and Jan Vermeer van Delft. The gallery is especially proud of its strong holdings of German and Italian paintings from the 13th to 16th centuries, and paintings from the Low Countries dating from the 15th to 17th centuries. The paintings in the collection have been on show in their present home at the Kulturforum since 1998.